How to use Proxies and Changing IP address | Free Pc to Phone Calls, Free Voip Calls to India International ! This is a tutorial on how you can use proxy and change your IP address. This is quite useful when you are sometimes bound by limitation of something (like creating new account) by IP address. To explain a bit more, we have covered various method by which you can make free international calls. Some of the methods are voip services like Youcall, Goobercall etc. You simply need to register with them and upon successful registration you will get some free trial minutes. Once the trial minutes over, you could (conceptually) create another free account and get more trial minutes. But the concern is that they limit you by checking your IP address. So if somehow you can change your IP address, then you can easily create new account and make more free calls. Many people mailed us and asked us about the same. I still receive so many emails asking about How to use Proxies, changing IP address. So, I thought to cover this topic on the blog itself, as many other people must be facing this similar problem. There are two ways which I regularly use to change my IP address. Both the methods work successfully for me. This method works perfectly but is limited the number of times which you can use to change IP address. - Log on to a proxy website. Some of them are Hidemyass, Cantbustme, Guardster, Kproxy. - After visiting the website, you will see a column to enter the web address. Just enter the website address which you want to visit (where you want to register with changed IP Address). - The method above changes your IP address in that particular browser (TAB) only. It does not change your IP address in other Tab opened. This is the best method as number to IP addresses which you can change are just unlimited. I call this as IP:Port method. - Visit Samair, you will see list of IP addresses (of the form 202.153.132.124) and Port address (8080,80,808,3128). - For FireFox users go to (Tools then go to Options then select General and finally Connection Settings) and select "Manual Proxy Configuration", and enter in an IP and Port from samair. - For Internet Explorer users go to (Tools then to Internet Options, select Connections and then Lan), select "use proxy server" and enter in an IP and Port from the list. I have also added screenshot for Firefox. This changes your IP address, now visit the website (for which you wanted changed IP), register with them. Don't worry if your Internet work slow, it works slow using proxies. I have seen that different port types work for different people (IP address). So try using a few of them (8080,80,808), and see which one works for you. Also try and using proxies of different locations. For may case, usually China, Japan, USA proxies with port address 8080 works fine. After using proxies, and when you have successfully registered. Change back your settings to DIRECT CONNECTION to Internet. (See Screenshot for Firefox). (For Internet explorer Uncheck "use proxy server".) Now your internet speed will be as before. Remember :: The method above will change the IP address of the whole browser. After you have used the proxy to change IP address, restore back (as described) to normal settings. This will make your internet work as before, normal. Many people thanked us for this post as they were successfully able to use proxies. If you are having any trouble in using proxy sites, then let us know in the comment section. After changing the ip-address ,how to make calls from pc to phone in India. Use Youcall to make calls to India by changing IP address. Once you change the IP address, does this service become FREE? Is my Cellphone charged with YouCall $0.15 FEE? I created the account with diff. ip and now as I logged in it says I have NO US $ credit. Is there any application I am to use by this YouCall people to make call to India? You won't be charged anything for making a call. Since it is a callback feature, your service provider don't charge you for incoming calls. Regarding no credit, when you login for first time you will see no credit, log out once, and login again you will see 2$ or 1Euro credit in your account. i unable to call cellphone in india, but landline work fine. Free 60mins credit is not seen in my account. Once the account get over, how to regain the $2 back. Just make another account with different IP address. 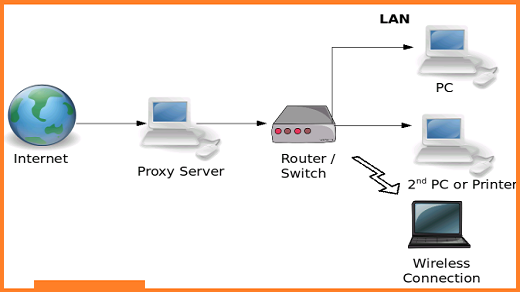 Use proxy as described. You will get additional 2$ in new account. Is their a way to make free call to US from India thru phone.i am aware of mediaring talk, but tell any other method using phone. You can use Youcall. It will work to call any country from any country. However, there are many to call US from India. Use can use Tpad, Earthcaller, Icall, oovoo. Large number of voip provider gives free calls to USA. If your phone supports(wifi, internet), you can use mobile voip application. tell me a method to call usa from india thru mobile after registering the mobile number, in-addition i need the way to call usa from the landline phone. as you mentioned in previous mail, earthcall is used to call within north america and icall require a internet connection.So both of them does not fulfill my requirement.I gone through about Tpad,it was nice,but this facilty not available in India(Chennai).Tel me a method similar like Tpad,because my sister does not have an internet connection. I am pooja. I want to discuss that if it check IP address so in rebtel site it is registering my checking phone numbers. If we change IP address can we use same phone number and call again. Sorry Pooja, You cannot use the same phone number to get 60 more free minutes. Rebtel track its users by Phone numbers not by IP address, and ideally it should be. However, youcall is these days tracking its users by IP address. You can use same number with different accounts. Check my post on Youcall. Is it legal? I think using proxies may be illegal.Am I right? Hi, can you advice what is the best method to make free calls to Pakistan from UAE as I have tried several things but No Luck. Also, If you can add 2$ credit into my account on Tpad. I suppose it has been given for free on this site. I loved this blog.. thanks for once again putting all the options together in this one.. I successfully changed my IP as suggested in your blog.. however, when I try and register on youcall it repeatedly states that I have entered the incorrect 'verification code' however, that is surely not the case.. and I've already tried it for over 10 times now.. And since the verification code is a mandatory field.. it won't let me pass it..
Well I just tried to register, and it worked fine for me. You may try using http://www.blastproxy.com/ for registering. DO let us know, when you are successful in making free calls.